You've played iFishing, and iFishing Saltwater Edition, now try your luck at Fly Fishing! Fish rivers and streams after species of trout the other games didn't have! This is the lite version that contains one fishing location. The full version has 6 unique locations. The controls are a bit different than the other iFishing games. This time you have to whip the line back and forth a few times to build up distance before releasing the line. - Unique real life animated backgrounds (new for the iFishing series!). - Variety of flies for each species. 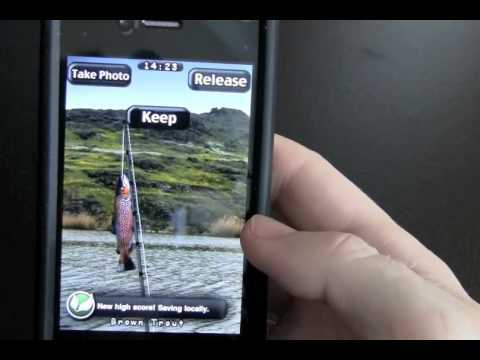 - Use the device's accelerometer to cast, aim your lure, and fight fish. - Exciting fish fights while keeping the line tension in check, even see them jump! - Trophy room to keep track of your biggest fish ever caught. - Fishing guide gives you audible advice and encouragement!